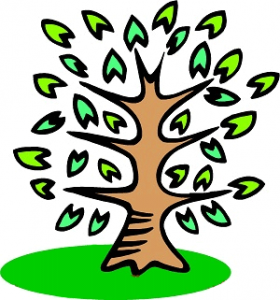 The Chelmsford Genealogy Club is a friendly group of people who share an interest in genealogy. We meet monthly on the first Tuesday of the month from 7-8:45 pm in the McCarthy Meeting Room at the Chelmsford Library to hear lectures and share information. The meetings of the Chelmsford Genealogy Club are free and open to the public, and everyone is encouraged to participate no matter where you’re from. At times, our meeting dates vary to accommodate the availability of speakers. Contact Vickie Turcotte (978-256-5521 x1106) with questions about our Genealogy Group. Get Started On Your Research! Genealogy Subject Guide is a list of online and print resources. Be sure to check the library’s catalog for DVDs of past lectures videotaped by Chelmsford Telemedia. Chelmsford Genealogy Club email newsletter is the best way to be notified of meeting times, special events, and other genealogy news. All meetings and lectures are always free and open to the public. The Surname Research Request (below) – some members of the Chelmsford Genealogy Club are willing share their extensive research on certain family surnames with anyone researching those same names. Just choose a surname you are interested in, provide your name, email, and any additional details, and a member of the Club with contact you with further research. And, we are always looking for this to expand – if you are interested in sharing your research, please contact Linda Coles at CGC.Surname@gmail.com or complete the Surname Submission Form.